Seeing as the only way to control your android device is the touch screen, a broken device can cause you a lot of worry. Most people think that there is no way to get their device to work again let alone be able to unlock it if the screen is broken or cracked. It is however important to find a way to unlock the broken device so that you can gain access to your data and create a backup to restore to a new device. In this article we are going to look at a few simple ways you can unlock an Android device with a broken screen. For this method you will need your device and access to a PC. It is the most powerful method to unlock a broken Android device. It will however only work if you have enabled USB debugging on your android phone. If you haven’t, skip this method and see if method 2 or 3 might be of help. ADB creates a bridge between the PC and your device which can then be used to unlock the device. Here’s how to use this bridge. Step 1: Download Android SDK package on your PC. You can download it here: http://developer.android.com/sdk/index.html. Extract the ZIP file on your PC. Step 2: Download the necessary drivers for your device. The USB drivers for your device can be found on the manufacturer’s website. Step 4: Connect the device to your PC using USB cables. Enter the command “ adb device” (without the quotation marks). If your phone is recognized, you will see numbers in the Command Prompt message. Step 5: Type in the following two commands. You will need to type in the second one immediately after the first. Replace 1234 with your password. Step 6: Your phone will now be unlocked and you can proceed to back-up its contents. This is a great solution if you don’t have USB debugging enabled on your device. You will need your device, an OTG adapter and a USB mouse. It involves connecting the device to the USB mouse using the OTG adapter. Check if your device can be connected to a USB mouse here; http://www.corsair.com/en/landing/otg-compatibility-list. You can find an OTG adapter online, they are relatively inexpensive and very useful. Before we begin, it is a good idea to ensure your device is sufficiently charged because the Mouse may drain your battery. 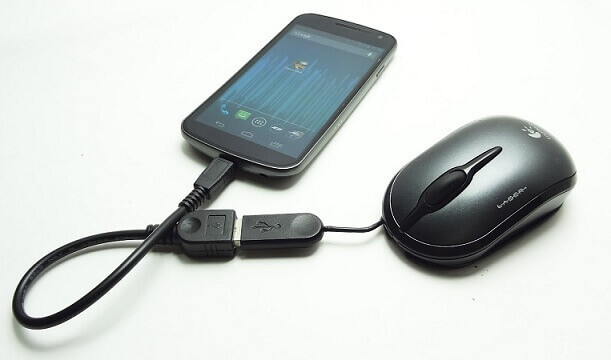 Step 1: Connect the Micro USB side of the OTG adapter to your device and then plug in the USB mouse to the adapter. Step 2: As soon as the devices are connected, you will be able to see a pointer on your screen. You can then use the pointer to unlock the pattern or enter the device’s password lock. You can then go about backing up the contents of your device. 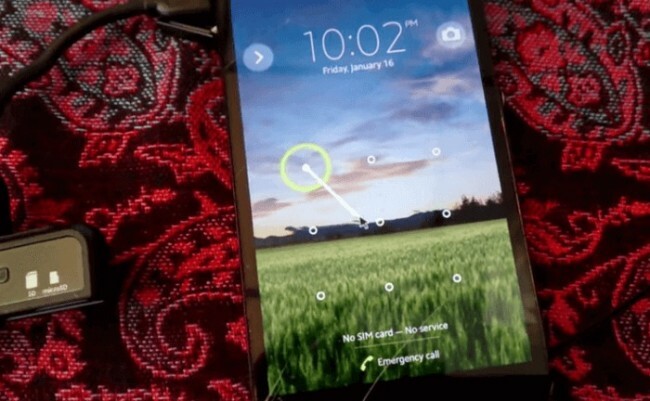 This method is a reliable way to unlock a Samsung device that has a broken screen or is not working correctly. While it is highly effective you will need to have a Samsung account registered with your device. The problem is that not many Samsung device users have registered their devices with the service. If you are among the lucky few who have, here’s how to use your account to unlock your device. 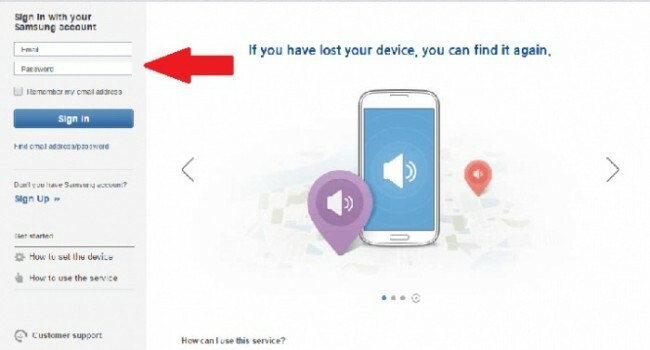 Step 1: Visit the https://findmymobile.samsung.com/login.do on your PC or any other device and log in with your account information. Step 2: Select your device from the menu on the left hand side of the screen. Step 3: You should see the option “Unlock my screen” on the sidebar. Click on it and you will get instructions on how to access your device. Being unable to unlock your device is never a good place to be. We hope one of the above solutions will work for you. You can then gain access to your device and backup the files and contacts. This way your life doesn’t have to be disrupted- you can just restore the backup on a new device or the old one once the screen is fixed. How to Fix It If We’re Are Locked Out of iPad? Are you locked out of iPad? Simply follow this stepwise tutorial to fix the iPad locked out issue. Four different solutions have been provided in this guide. PIN and patterns are somewhat easy to remember, but it is common to forget the Android lock screen password. This article will tell you how to reset Android password. This article gives you the steps to remove your lock screen without having to risk your important data stored on you device. There are a lot of apps like that these days, and choosing between them is not always an easy task. Let’s take a look at the best 10 unlock apps for android. Here we introduced the following 9 methods to bypass Samsung lock screen pattern, PIN, password and fingerprint.